As many shop owners know, though, that isn’t always the case.The latest and greatest tools and technologies too often wind up being a lot more of the former than the latter. The difficulty, Martin says, is identifying which new products will actually help your shop, creating efficiencies and eliminating any bottlenecks. And one of the best ways to do that is to hear from people who’ve used it. 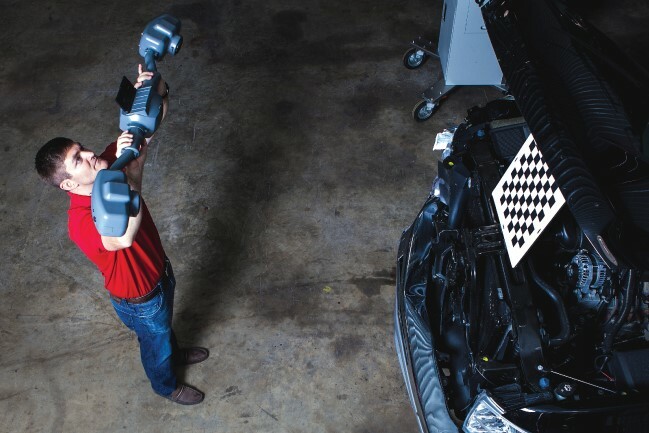 FenderBender spoke with three shop operators who shared their thoughts on three recent industry innovations and how they’ve played a role in their shops. What it is: A handheld electronic measuring device for estimating structural collision damage. How it works: The device takes 3-D images of structural damage, which can then be downloaded to your computer and analyzed through the company’s software. 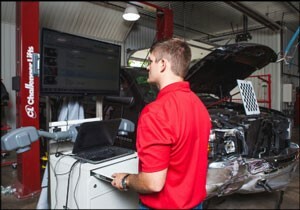 The goal is to create more accurate measurements of damaged portions of the vehicle, increasing accuracy in the repair and parts selection, and eliminating supplements. Doug Martin, Martin’s Auto Body, New Salisbury, Ind. Although he grew up around his father’s shop (and eventually took over as manager in 2007), Martin has never actually worked on the shop floor. He’s “a guy with a business degree,” he says, certainly not a technician, bodyman or painter. Martin’s staff at the 19,000-square-foot shop have used the device since the beginning of 2013 on “anything that’s been hit on the front end,” he says, as well as other sections as needed. His area of Indiana gets a lot of run-ins with deer—damage that can look cosmetic at first glance but has lurking structural issues that can’t be seen. The one hang-up, Martin says, is that he wishes the software would provide a base measurement for vehicles, rather than having to compare against the non-damaged sections, or other vehicles. (Note: In 2014, Matrix integrated the Mitchell Database into its software package to make comparisons to factory specifications). Martin says the shop has seen a quick rise in efficiency, though. His staff (including older, more experienced technicians) has embraced it, even using it to recheck completed work. And it has almost entirely wiped out the need for supplements. “We’re finding everything the first time, and making sure we get paid for it by the insurance companies,” he says. As Written in Fender Bender on September 1, 2013 by Bryce Evans, photos by Melinda Leach.